When this phone will be launched? 6 Months Manufacturer WarrantyBy test. 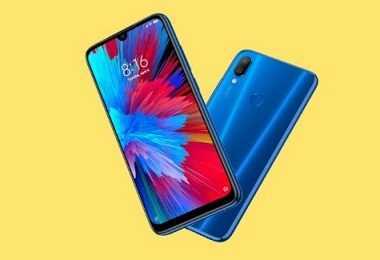 Latest price of Xiaomi Redmi Note 7 32 GB With 3 GB RAM in India was fetched online from Flipkart, Amazon, Snapdeal, Shopclues and Tata Cliq. 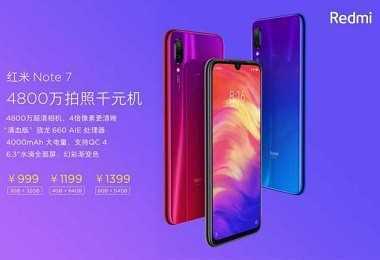 "Xiaomi Redmi Note 7 with 48-Megapixel Snapper and 4,000mAh Battery Launched in China"
Redmi recently moved away from the Xiaomi umbrella to come out as an independent brand of smartphones in the market. 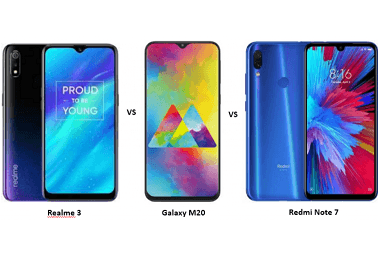 Redmi Note 7 was the first phone by Redmi after moving out from Xiaomi. The phone comes at a fantastic price and as always, is packed with outstanding features like a 48MP camera on the rear and 2.5D glass protection on the front and back. The phone comes powered by 2.2GHz Snapdragon 660 octa-core SoC processor, paired with Adreno 512 graphics. With specifications like these, you do not have to worry about the speed of the phone, or it's slowing down due to heavy use. This phone has everything one can ask for; stylish design, excellent features, and affordable price. Redmi phones have always been known for their fantastic camera specs, and this phone takes the expectation up a notch. On the rear, there is a dual camera setup, with one being a 48 MP camera with f/1.8 aperture and Samsung GM1 sensor, and the other is a 5 MP camera sensor. These cameras on the back come equipped with features like 1080p video recording, portrait mode, HDR, monochrome dual-LED flash, and much more. On the front there is a 13 MP camera with AI smart beauty, face unlock, and other features to click those perfect selfies. To store the high-resolution videos and images, you need good storage. Talking about the storage, this piece comes with 32GB internal storage expandable up to 256GB. However, it comes with a Hybrid slot which means you can either use it for upgrading your memory or for your second sim. The phone is powered with 3GB RAM that promises to offer seamless operation. Redmi Note 7 does not let you worry about your battery back up. The phone packs a 4000 mAH battery and supports quick charge 4. 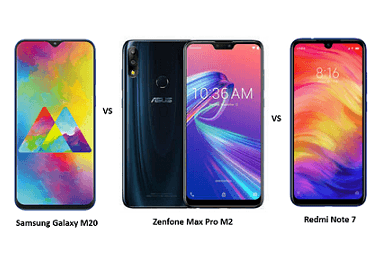 The company claims that the phone will last for about 7 hours in a gaming session, 13 hours of video playback, 251 hours standby, and 23 hours of talking time. In day-to-day use, you can expect the phone to easily last for 1-2 days on full-charge depending on your usage. The large screen of the phones measures 6.3 inches and comes with 2.5D glass protection for the front and back glass. The fingerprint scanner is on the rear of the phone. The dual SIM phone has connectivity options of WiFi, Radio, GPRS, USB, and Bluetooth. And the platform it runs on is the latest version of Android 9.0 (Pie). The phone can be upgraded to the next version on release. 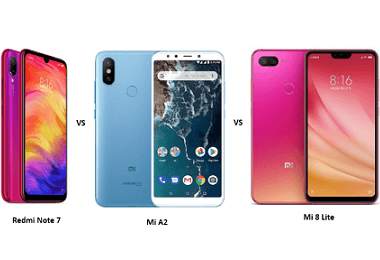 Xiaomi Redmi Note 7 price is set keeping affordability in mind, without having to compromise on any features.